There is a significant discussion among the people as from which part of the palm the Line of Health (1-1) begins. 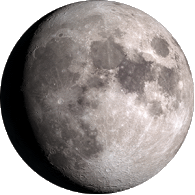 The Line of Health starts at the bottom or on the facade if Mount of Mercury. If it grows over the palm and attacks the Life Line then it indicates that you may suffer from the germ disease or your illness may develop in your body. It may be the cause of your death. It should be remembered that the Line of Life only relates to the assured period of life from natural causes and heredity. But the Health Line indicates the effect of the sort of life you have led. When both the lines come together and one is of same power to the other line then it must be the time of your death, despite the Life Line appears greater in length (2). The Line of Mercury or Health is connected with your nervous system. It is also related to your mind (Mercury). It lends to the belief that all-knowing intuitive brain is mindful, even in your early days of the power of resistance in your nervous system. It may also help to know the duration of the power when the power may be shattered. As a result it can sign the palm long years in progress. The Health Line is one of the lines on our palm that changes often. It is like a thermometer of your health that shows ups and downs of your health. The Line of Heart looks threatening and deep in the early period of your life. It fades away completely when you possess greater health and power in your body. It seems more threatening and deeper as the depreciation, particularly of your nervous system when you over-taxed your mental power. If this line is absent on your palm then it is the sign of Excellency. The absence of Line of Health indicates that you possess an enormous healthy and powerful configuration. Besides it, you may possess a healthy nervous system. 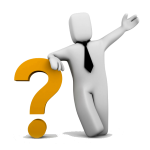 If your palm possesses the Health Line then the best place to have it is to stay straight down the palm. It should not touch or move towards the Life Line (3-3). If it is observed crossing your palm and throwing or touching branches throughout the Life Line then it predicts that your health may deteriorate for the illness. When the Line of Heath looks like a bough from the Line of Heart, particularly if these two lines are broad in look and along with the Line of Health going down the hand and comes into contact with Life Line then it is an obvious sign of disease or weakness of your heart. You must examine your nails on your hand at the time of thinking the illness which denotes by the health Line. If your nails are small, without round and moons and the Health Line is marked distinctly then you are confirmed that nervous weakness of your heart is definitely threatened. If your nails are almond-shaped and long then it indicates that you have the fragility and weakness of lungs. If your nails’ shapes are same and islands are located in the higher portion of your Line of Health (4) then you may suffer in the problems of tuberculosis and lungs. If your nails are extremely flat, particularly shell-shaped in addition the Health Line is marked deeply then you may suffer from paralysis or severe nerve disease. If it is found that your Health Line is red and tiny spots at the time of pressing then you may suffer from rheumatic fever. If your Line of Health is irregular, twisted and yellow then you may suffer from liver problems as well as biliousness. If it is marked heavily and merging with the Line of Head and Line of Heart together then it indicates that you may suffer from Meningitis. It is mainly occurred when an island is marked on the Head Line. 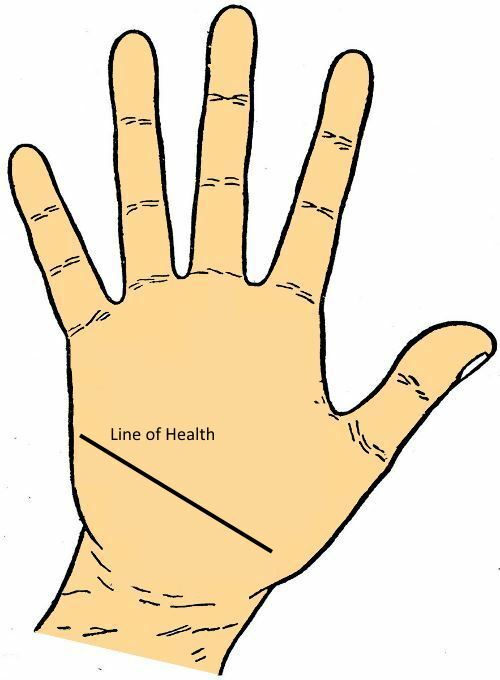 If the Health Line runs straight down on your palm and does not touch the Life Line then it denotes that this configuration is not healthy and there is huge aloofness resistance to illness. 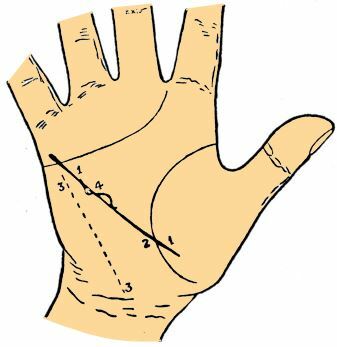 At the time of observing the Heath Line, you should always examine the other sign of remaining lines on your palm, particularly the Line of Head and Line of Life. If your Line of Life seems very weak and chained then the Line of Health on your palm may obviously increase the risk of subtle health. If it observes with the Head Line full of short islands or like the chain then this sort of Health Line indicates severe headaches, illness of brain, etc. Normally human nature is too self-confident or too blind to notice the warning until it is too delayed.